The Chess Association of Selangor (CAS), with the Dato’ Arthur Tan Chess Centre (DAT Chess Centre) as its Event Manager, organised the 42nd Selangor Open Chess held from from 30th April – 04 May 2015. as both a FIDE and national rated tournament. 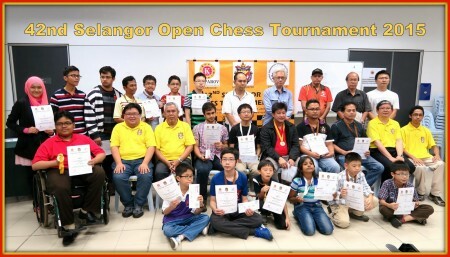 Recognising the Selangor Open Chess Tournament with its long and colourful history as the longest continuously running tournament in Malaysia, the Kasparov Chess Foundation Asia-Pacific (KCFAP) agreed to sponsor the prize fund while the Ministry of Youth and Sports Paralympic Center for Excellence in Kampong Pandan, Kuala Lumpur came on board as venue sponsors. Mr Ignatius Leong, Chairman of KCFAP was the guest of honour at the Opening Ceremony where while dedicating the event to the memory of the late Ms Jackie Wong who had served CAS as its Hon. Secretary for two decades, also shared the little known fact his father had been born in Selangor . 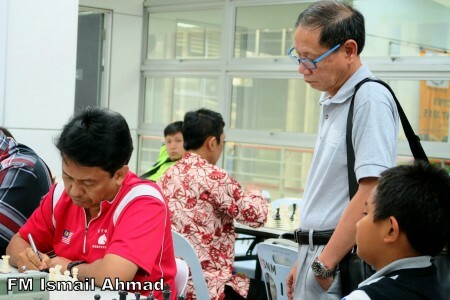 There was a good turnout of 92 players including four International Masters – top seed and defending champion Rolando Nolte, Emmanuel Senador, Mas Hafizulhelmi, and Jimmy Liew – who together with two FIDE Masters, one Woman FIDE Master, two Candidate Masters and two National Masters joined in friendly competition for both prizes and honours. 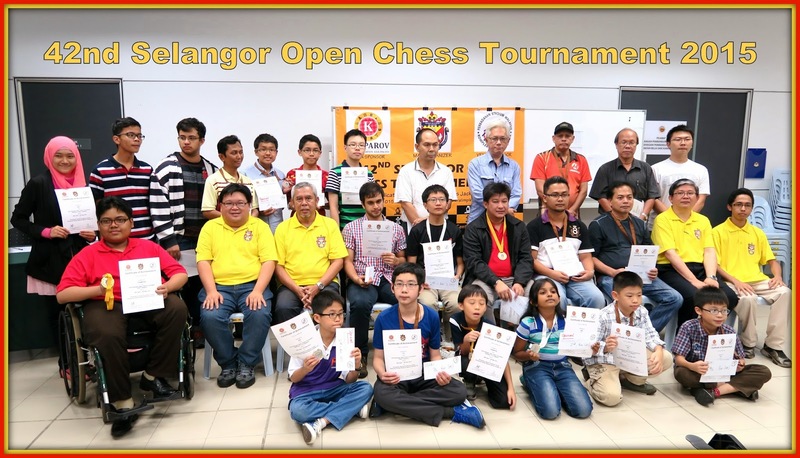 In the end Nolte was again a convincing winner and in a class of his own with 8.5/9 while young Yeoh Li Tian in second place on 7.5/9 again showed he was Malaysia’s No. 1 by finishing one point ahead of the eight players bunched together in third place with 6.5/9.